Our post processes are performed at our NanoSurfaces plant, where our teams have decades of experience in mechanical operations onto orthopedic implants. Parts that have been additively manufactured and that are intended to be coupled with other components have to respect tolerances still unmatched by the 3D printing processes. If this is the case, the we have the long-term experience to final machine the parts according to their final use. 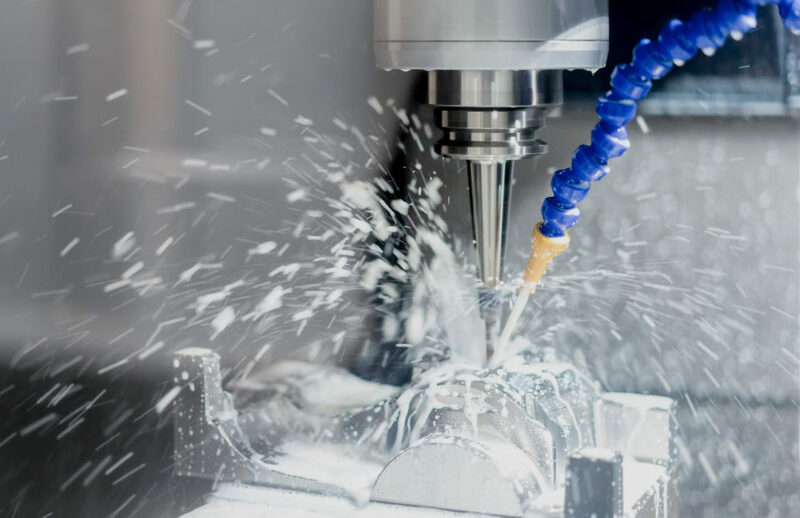 The benefit in using our one-stop shop approach is our expertise to design the components anticipating the final machining step. That includes tools for smart handling, envisioning efficient machining and effective final cleaning. These are indeed steps of key importance considering the complex shape and the porous structures typical of 3D printed parts. Depending the part many different operative options can be used during the machining step. Components produced via additive manufacturing will have a roughness on some part or the surface, because the specific application, may exceed the acceptable range. If this is the case we have processes and expertise to downgrade the final surface roughness selectively. 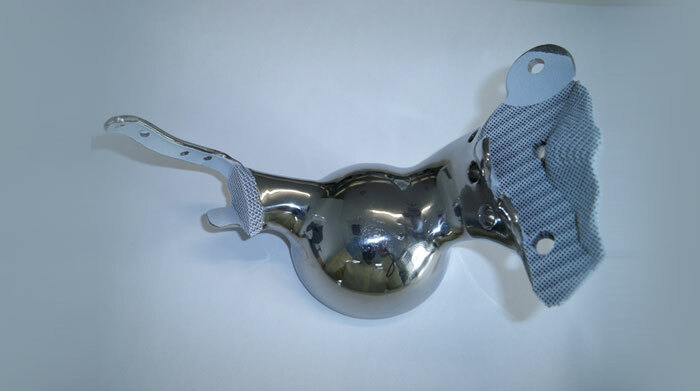 Typical post processes range from deburring to smoothing to final manual polishing including, in case of large scale manufacturing operation, the use of a robotic island for manipulate-polishing implantable components. We perform cleaning operations according to our customers’ request. Steps used may include processes to minimize the risk of metal powder or other residues being released or leaching from the part after machining, smoothing, and polishing. Cleaning validation is tailored for the specific 3D metal network engineered and the sequence of processes eventually used. Additional treatments can be used to change the metal surface morphology of the additively manufactured parts. 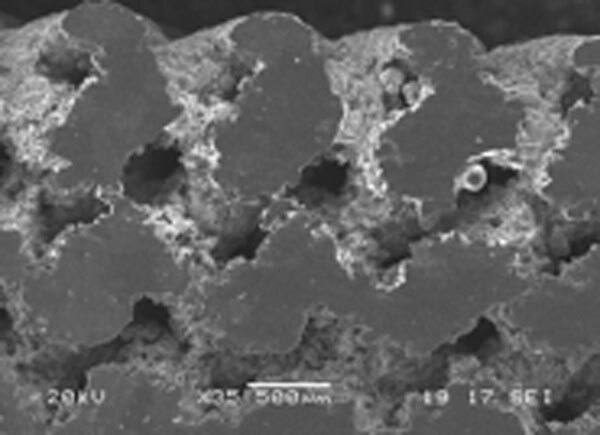 Post treatments can also be applied to porous structures. We can combine additively manufactured porous structures with a further coating like brushite or hydroxyapatite (HA) by electrochemical deposition in water solution or Osprovit® HA by plasma spraying. 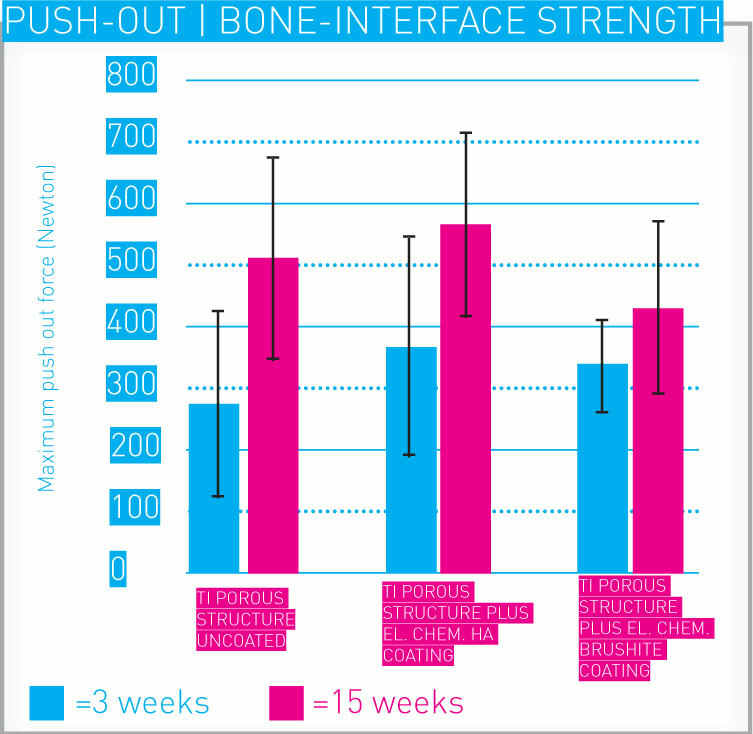 When coated with calcium phosphate, struts and pores surfaces have been shown to accelerate the bone ingrowth within the porosity, if compared to similar uncoated surfaces. In vivo results have proved that electrochemically-deposited calcium phosphate significantly increases the bone in-growth potential of a porous Ti structure and accelerates fixation. Our Osprovit® hydroxyapatite (HA) coating can be applied via plasma spraying as part of the additive manufacturing process. This can be an effective means of improving bone fixation when a surface of monolayers or bilayers of pores has to be coated. 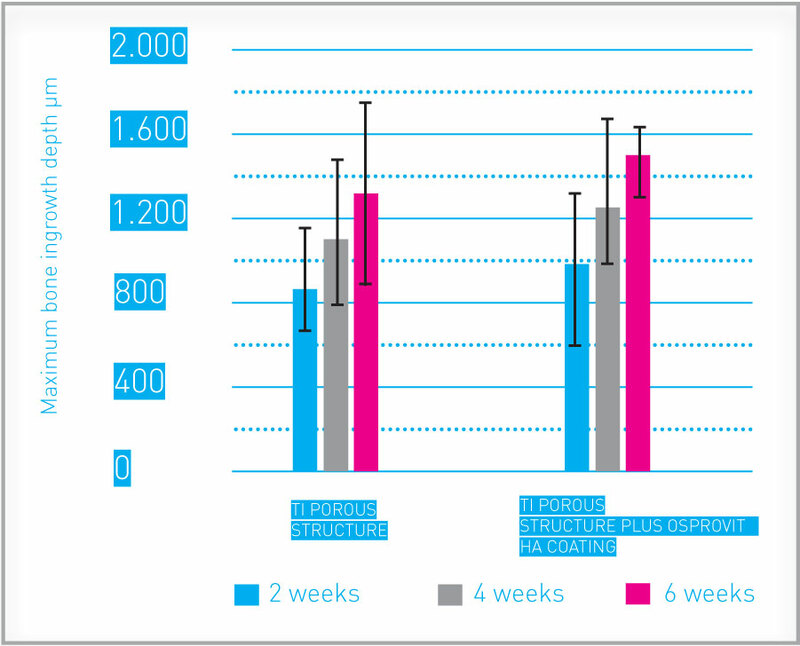 In vivo results have proven that Osprovit® HA coating significantly increases and accelerates the bone in-growth potential of a porous Ti structure versus uncoated implants.